I've been slacking with work. i'm gonna pick it back up though. Just enlisted my FB friends. Anyone know where he stands or how much longer the ballot will be open? Not sure where he stands, but I would assume the voting would be open for at least a few more weeks. Pro bowl needs to be cancelled... It is a joke. Agreed, the pro bowl should be eliminated all together. I like the fact the players get recognition, but the game itself is so unnecessary. Let us not forget about Philip Drury Dawson and his need for our votes. Phil made his 300th career FG yesterday, becoming the 25th player in NFL history to accomplish the milestone. Of the 25 players who have hit 300 FG's, Phil has the highest FG % of any of them. And he has done that while kicking off the windy shores of Lake Erie for his whole career. It will happen some day. Not sure when. Is every1 keeping their eye on this ball? Just saw that Phil was in 4th place among kickers in the AFC in Pro Bowl fan votes. We are obviously not voting enough. The fact that he is in 4th proves how much the media hates Cleveland and has passes that feelings on to the mass of football fans. It is also shows to me that those voting clearly don't have a clue. 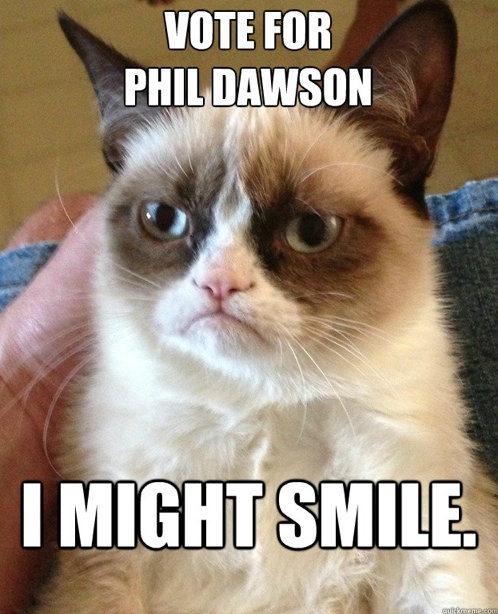 I bet Phil Dawson would have made several pro bowls by now on 20-25 other teams. If he was a Cowboy, he'd be 10-time Pro Bowler Phil Dawson. I just put up a ten spot for him and it took me all of two minutes. I'll continue to do so throughout the day after reading his QandA with MKC on the cleveland.com. The dude deserves a trip to Hawaii. I just dropped a 10 spot for him too. Do they show the numbers anywhere for what Voting looks like? or do they keep it under wraps? who put there ten-spot in for Phil today? +11 more votes and counting.